Presumptive Democratic candidate Barack Obama has questionable associations with pro-Palestinian activists. Asked by the San Franciso Chronicle about progress in Iraq, House Speaker Nancy Pelosi said the U.S. troop surge didn't work, but the "goodwill of the Iranians" did. State Department spokesman Sean McCormack answers a query about a travel warning for Mexico because of military-style drug-related battles. Read more at CNSNews.com. 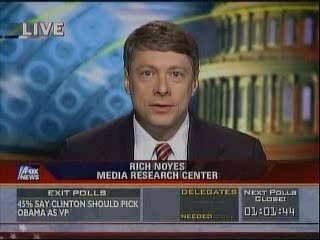 Rich Noyes of the Media Research Center criticized NBC while on the Fox News Channel on May 20 for its misleading editing of an interview with President Bush. The topic was U.S. policy toward Iran. Speaking to the National Rifle Association in Louisville, Ky., on May 16, Mitt Romney scoffed at Barack Obama's plan to negotiate with dictators and endorsed John McCain's tough stance. John Bolton, a former U.S. ambassador to the United Nations, told an NRA audience in Louisville, Ky., on May 16 that appeasement with rogue foreign leaders never works. This video from Khyber News, a television station in Pakistan launched in 2007, takes a critical look, through the eyes of artists, at the efforts of leaders to make the world a better place to live. The infamous Islamic fundamentalist takes calls from listeners and dispenses his unique brand of jihadist wisdom. Former U.N. Ambassador John Bolton talks to Cybercast News Service's Penny Starr at the Conservative Political Action Conference on Feb 8.